Our highest rated telephoto varifocal lenses. 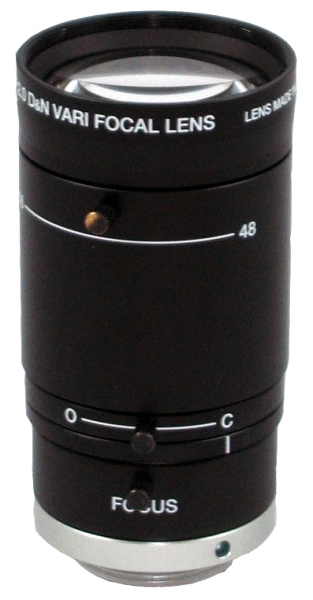 This is a great lens for close up security recording offering a medium to high zoom at 48 mm. This lens is also certified for nighttime image capture, and is excellent for nighttime surveillance using compatible Day/Night StarDot SC block cameras. Sample applications include: License Plate Capture, Retail Space and Banking (facial capture), Parking Lots, Guard House, Close up Facial shots, Night Time Surveillance.